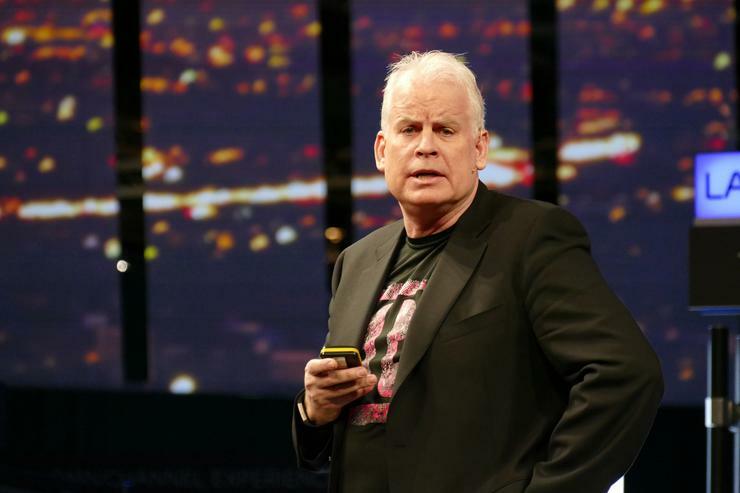 T-Mobile USA's Chief Technology Officer Neville Ray prescribed a dose of reality for the 5G mania overtaking Mobile World Congress this week, telling Ericsson’s kickoff press briefing Monday morning he’s still in the LTE business. For one thing, using millimeter-wave frequencies like 28GHz for mobile services is still a big technical challenge, Ray said. He dismissed so-called commercial 5G deployments in the U.S. involving fixed-wireless service to homes, including one involving Ericsson and Verizon, as fringe use cases for the technology. T-Mobile does have its own 5G trials running, Ray said, but it’s in 4G that carriers and equipment makers will develop many of the technologies they’ll need for 5G. That includes 4x4 MIMO (multiple in, multiple out), a multi-antenna technology to boost network performance, which T-Mobile started using last year. More advanced MIMO is expected to play a role in 5G. "Believe me, 4G is far from dead," he said. Even Ericsson soft-pedaled 5G in its presentation Monday morning, despite putting it on in front of a sea of 5G signs across the company’s expansive section of the MWC show floor in Barcelona. Ericsson President and CEO Borje Ekholm cited the recent announcement of what the company called the first 5G platform for all relevant frequency ranges, plus newly revealed trials with carriers NTT DoCoMo, Vodafone and Telstra. But the two customers that took the stage talked about current applications: LTE Broadcast to distribute 21st Century Fox media content to Telstra subscribers’ phones overnight, and Swedish vehicle company Scania’s system for supporting connected trucks. Scania takes the data it collects from those trucks and applies analytics to help shipping companies use them more efficiently, CEO Henrik Henriksson said. Seventy percent of the rolling fleet of Scania trucks have an internet connection, he said. Knowing where trucks go and what they carry, Scania can find more efficient routes and help companies use more of the capacity of their trucks. In Europe, the average delivery truck only carries 60 percent of its maximum load, Henriksson said.